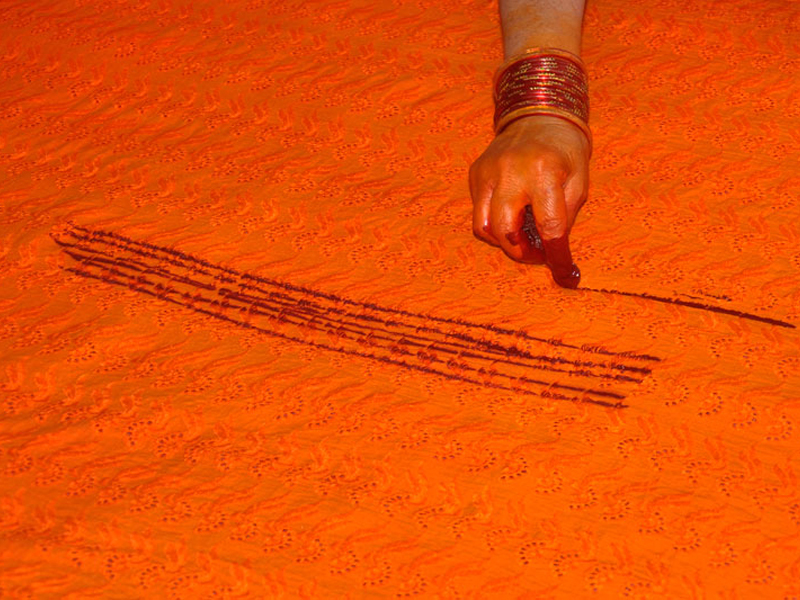 Pichhaura is a garment worn by every woman at ceremonial occasions in Uttarakhand. 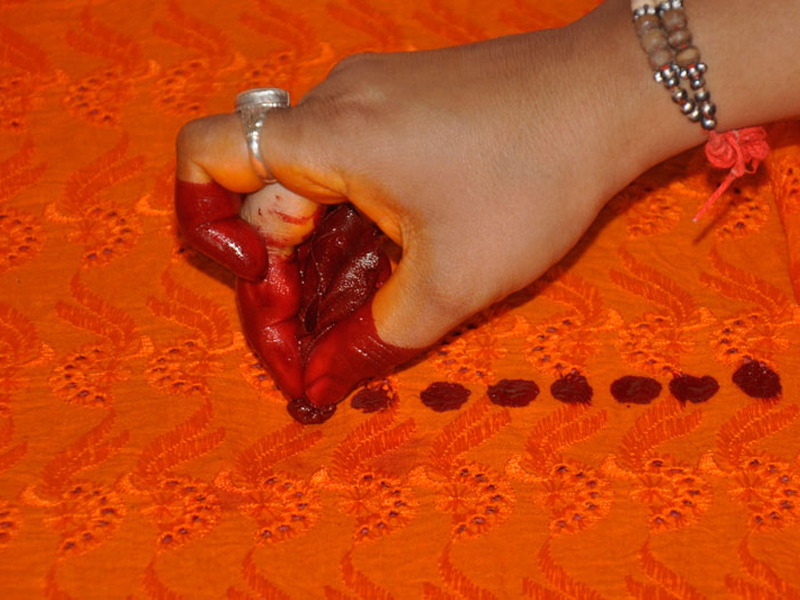 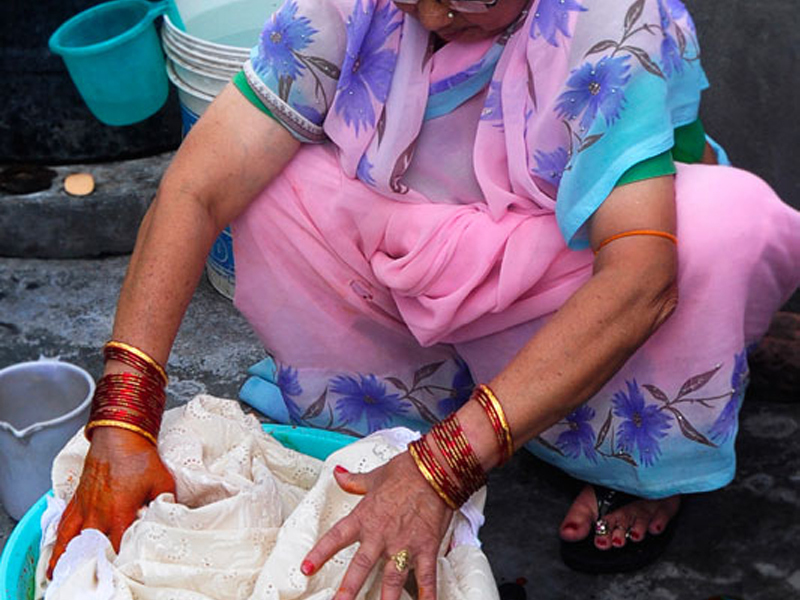 It has a special significance and is mandatory for all married women in the family. 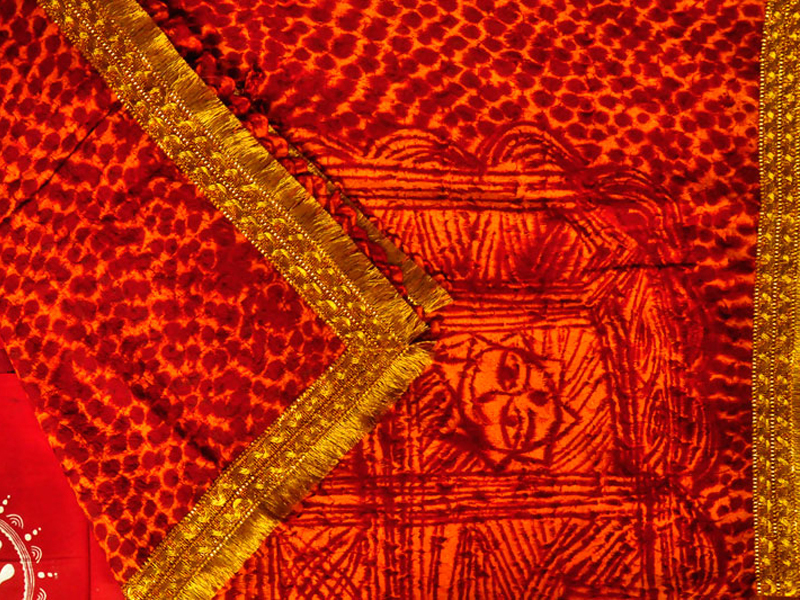 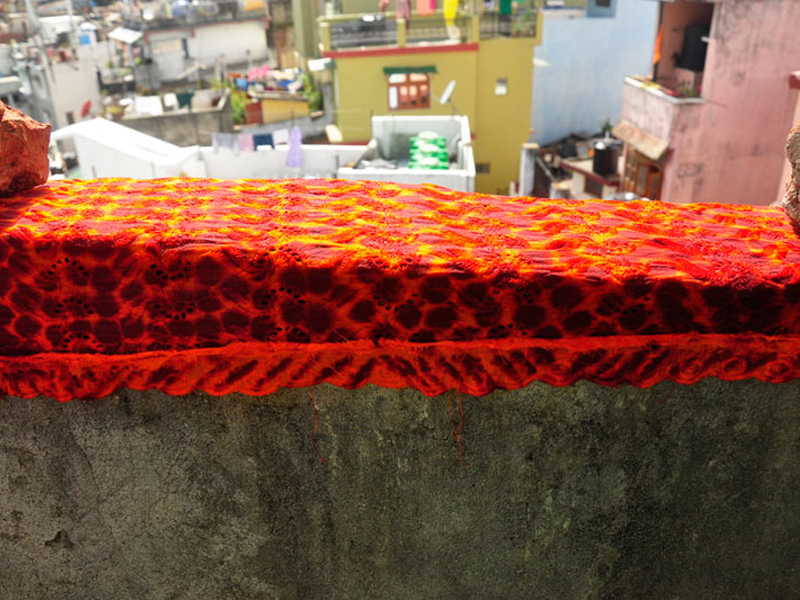 Pichhaura is hand printed with traditional motifs with red color over yellow background. 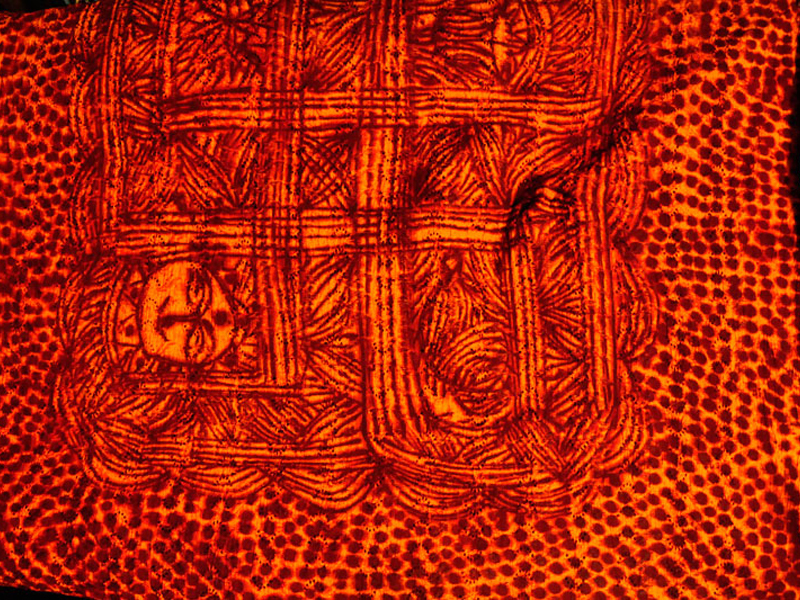 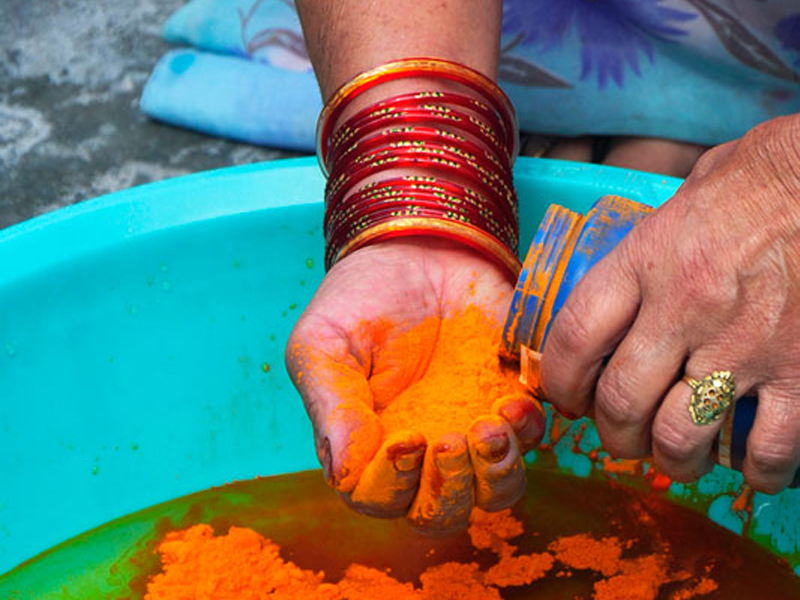 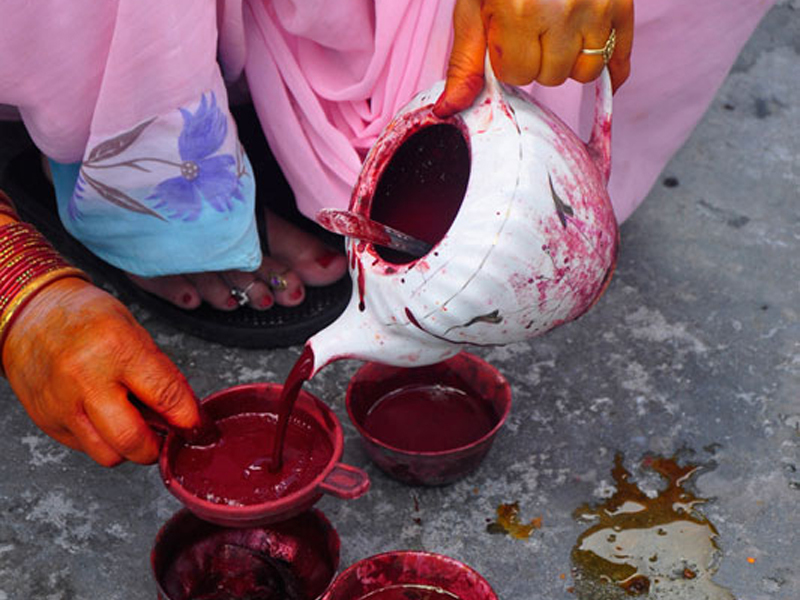 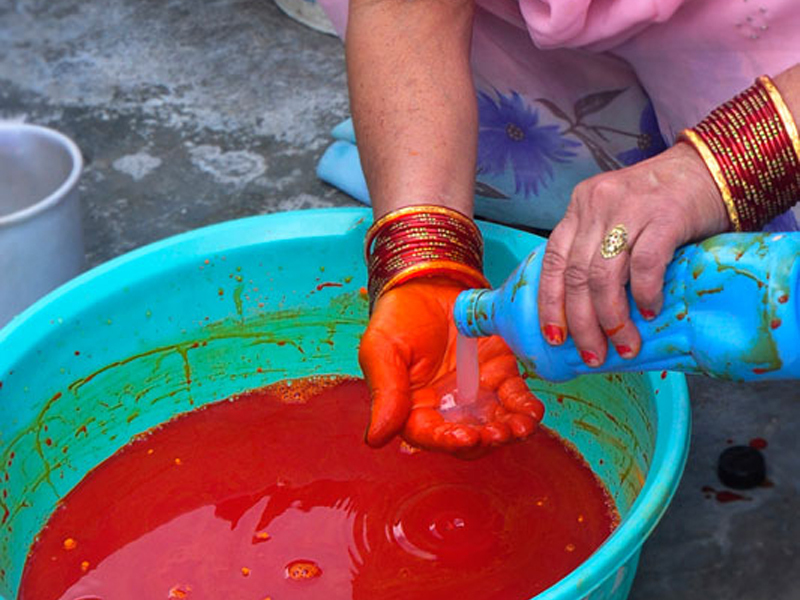 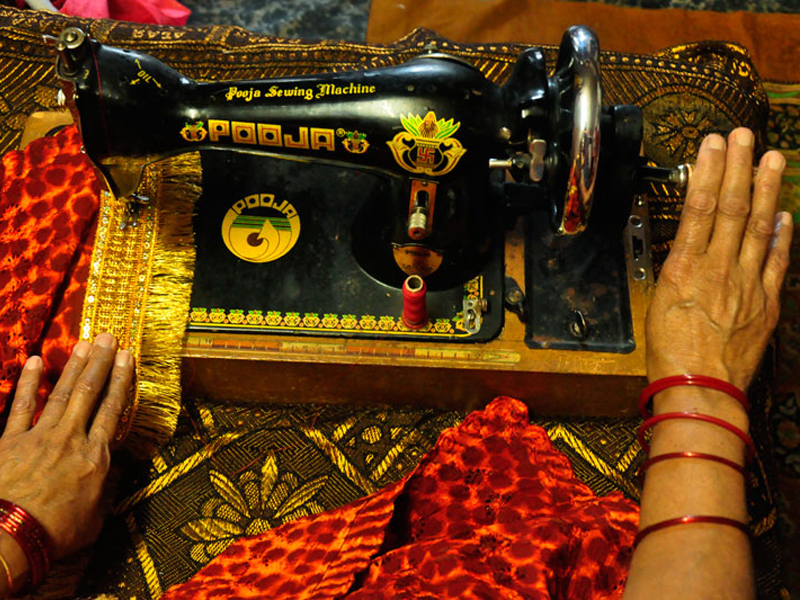 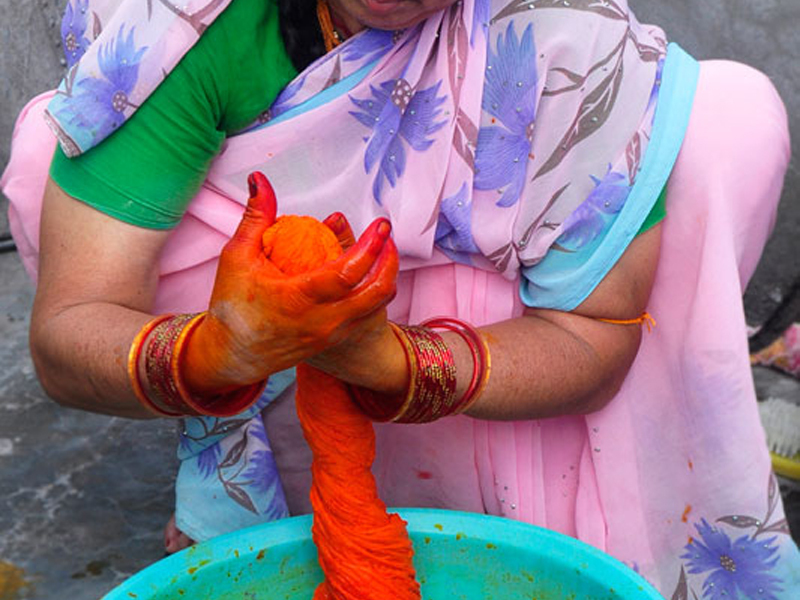 Pichhaura is worn by women during the preparations they made for Aipan folk painting.